Fine Decorative Wooden Emboss Horse Available In Different Designs & Sizes. 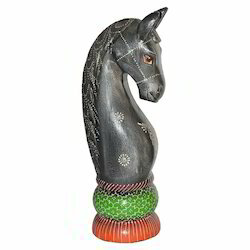 Rana Overseas leading Manufacturer, Exporter of Wooden Horse, We have wide range in Wooden Horse, Our Range Includes Wooden hand carved Horse, Wooden Painted Horse, Wooden Plain Horse, Wooden Horse set, Wooden ambawari, Wooden Jali ambabari Horse Set, Wooden Inlaid Horse, Designer Wooden Horse. We have several sizes and different shapes and designs Horse. We are offering Wooden Horse Statue to our clients. This is wooden horse made with intricate carving . Made by good quality wooden. In order to retain remarkable position in this industry, we are providing a wide array of Wooden Horse. We are successfully meeting the varied needs of our patrons by offering a wide gamut of Wooden Handicraft Horse as per their precise needs. we are offering a wide range of animal figers like a wooden horse artefact depicting a close relation between a mother and a child horse. 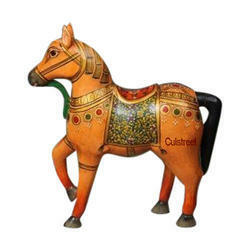 These wooden horses are impeccably crafted & painted, they depict the outstanding craftsmanship of our artisans.